Many gamers could not help but show disappointment when they learned earlier this month that the eagerly awaited game No Man’s Sky would be delayed until August, and sadly now another high profile game has seen its launch date pushed back. Because Horizon: Zero Dawn by developer Guerrilla Games was certainly one of the most eagerly awaited games of 2016, but now those anxious to play this sci-fi video game will have to wait until February 2017 to do so. But still, it is clear that Horizon: Zero dawn is one of the most promising PS4 exclusive seen to date, with its interesting post-apocalyptic story, open-world gameplay, robotic dinosaurs and strong female protagonist. 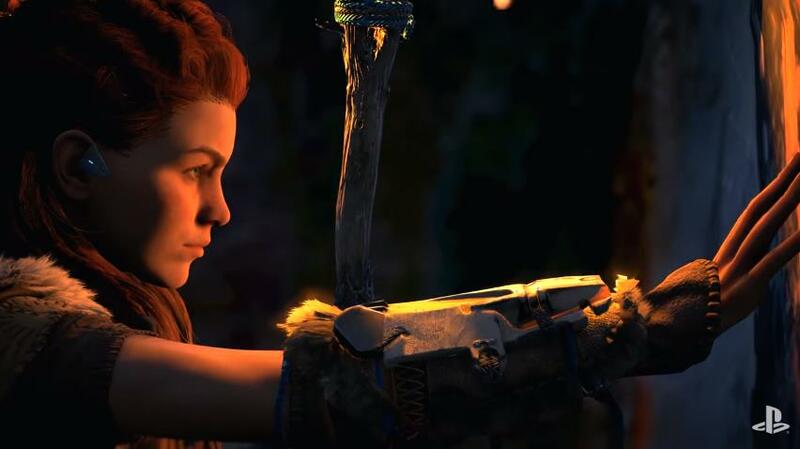 And Guerrilla has released a new trailer titled “Aloy’s Journey”, which sheds new light on Horizon: Zero Dawn’s mysterious female protagonist Aloy. Judging by this trailer, it looks like Horizon: Zero Dawn might offer a great story to give context to the third-person action gameplay, although we’ll still have to wait until 2017 to see whether Horizon: Zero Dawn will turn out to be the great game many are hoping it will be.